Community policing seeks to improve public safety and the quality of life for all persons within the community. Community policing, recognising that police rarely can solve public safety problems alone, encourages interactive partnerships with relevant stakeholders. The range of potential partners is large and these partnerships can be used to accomplish the two interrelated goals of developing solutions to problems through collaborative problem solving and improving public trust. This book focuses on how police and city leaders can continue to strengthen and add value to local community police efforts. Police and the community work together to identify problems and to respond to community concerns and needs. This includes taking steps to cultivate trusting partnerships in good times, instead of just during a crisis. This book also examines the future of the Community Oriented Policing Services (COPS) program and the authors discuss several important issues that Congress must consider in dealing with this program. This book consists of public documents which have been located, gathered, combined, reformatted, and enhanced with a subject index, selectively edited and bound to provide easy access. 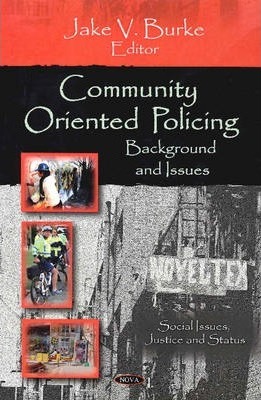 Preface; Community Oriented Policing Services (COPS): Current Legislative Issues; Community Policing Defined; Community Policing: Looking to Tomorrow; Community Oriented Policing Services (COPS): Background, Legislation & Funding; Innovations in Police Recruitment & Hiring: Hiring in the Spirit of Service; Index.